Find out answers to frequently asked questions by students and graduates seeking opportunities at KPMG. Find out answers to FAQs by students and graduates seeking opportunities at KPMG. What if I'm not an Australian Citizen or Permanent Resident? What's the culture like at KPMG? Why should I apply for a graduate role at KPMG? Which program am I eligible for? When is the opening/closing date for applications? Do you have any tips for completing my application? What sort of questions will I be asked in an interview? When will I be required to start work? When will I hear back from KPMG after submitting my application? What training do you offer to your graduates? Does KPMG support post graduate studies? Do I need an accounting background to apply? I have already graduated – can I still apply? Can I become a Chartered Accountant without an accounting degree? Our standards are high but we're interested in the person, not just an academic record. We're looking for well-rounded applicants – people who are team players, progressive thinkers and can communicate their ideas with passion. People who keep on learning, who want to be leaders in their profession and who want to make a difference. For more information, see What we look for. For more information surrounding eligibility requirements please visit the International students section. An organisation's culture can be difficult to define, however ask our people what makes KPMG different and most will tell you the same thing: it's our open and friendly culture. Of course it's also a performance-oriented culture. We recognise the hard work and achievements of our people in many different ways. We understand that talented individuals look to their careers for personal development and fulfilment, not just financial reward. At KPMG, we can help you to reach your full professional and personal potential in your chosen career path. You can expect to be recognised and rewarded for making progress towards this goal through a range of career benefits that emphasise choice and flexibility. We'll offer you an attractive salary, career development, a friendly and supportive working environment and many other benefits. You'll be able to stretch yourself intellectually, furthering your professional education and personal development, and taking advantage of opportunities for overseas travel and work experience. We'll help you to pursue appropriate postgraduate qualifications including financial assistance and study leave. You'll be able to advance your professional standing through a planned program of work experience and in-house learning and development opportunities. 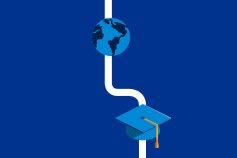 No matter what stage of your academic career, KPMG has a program to suit your needs. Foundations Program – a 1 or 2 day development program for university students in either the first year of a 3-year degree, second year of a 4-year degree, or third year of a 5-year degree. Vacation Program – a 4 to 8 week (depending on location) work placement for university students in their penultimate year of study. Graduate Program – permanent graduate role for students in their final year of university or recent university graduates. Refer to our How to apply page for application dates. Our selection process starts as soon as applications are submitted and will continue until the application closing date passes or we have recruited for all positions, whichever comes first. For this reason, you should apply as early as possible to ensure the best chances of success as some business units may fill positions before the applications close. All applications must be received online via our online application form. View Our selection process for further information on what will happen after you submit an application. Check out the Grad Hack cheat sheet (PDF 388KB) for more information. Keep an eye on our website and Facebook page for updates. It is important to provide us with as much information about yourself as you can, proof read, and be honest in your answers. Check out the Grad Hack cheat sheet (PDF 388KB) for more information. Our recruitment process is designed to promote two-way communication between you and KPMG. You find out about us. We realise that you're considering a variety of career options, so we give you several opportunities throughout our recruitment process to meet our people and discover the benefits of a career with us. We find out about you. We make a dedicated effort to get to know you as an individual and learn what you can offer our firm. For further information, see What we look for, or check out our cheat sheet for applications. You will be asked about your career interests, your time at university, extra-curricular activities and any work experience. Our interview questions are behavioural-based and are related to the skills and behaviours we consider crucial for success at KPMG. Check out our application cheat sheet for more information. KPMG salaries are paid at competitive market rates. When you are offered a position you'll receive full details of your remuneration package. It is important to think about not just your salary but the total rewards you will receive when joining such as salary plus benefits, incentives or bonuses, development and growth opportunities, long term earning potential and career progression. Graduates generally commence with KPMG between January and February. Full-time KPMG employees work 7.5 hours per day, plus one hour for lunch. However we offer flexible working arrangements which allow people to make their own choices about how they work. When will I hear from KPMG after submitting my application? We aim to get back to you within a week, however during peak time in February to April, it may take us a little longer than this due to the volume of applications. Please feel free to contact us at gradrecruiting@kpmg.com.au. KPMG has a structured training program that all graduates, independent of their business unit, will participate in as well as business specific training. All graduates are encouraged to participate in further KPMG learning and development programs to develop their careers. For more information, refer to Learning & Development. Yes. We strongly encourage our people to undertake relevant professional post-graduate study. We provide a range of support including study leave, exam leave, financial assistance and in-house training. For further information, visit CA Program, Postgraduate studies, and other qualifications. No, we consider any background. For further information about what teams you can apply for and what they look for in candidates, visit Your career choices. No, however, we ask that you include all prior work experience on your application form including casual or part-time positions held. Yes, you are still eligible to apply for our Graduate Program. We recruit graduates with some work experience as well as people who are taking gap years or pursuing postgraduate courses. If you have substantial work experience, please visit the Experienced professionals section. You can only submit one application for our Graduate or Vacation program, however you will be able to submit up to four preferences for the service lines in which you would like to work. No, you can only submit one application for our Graduate or Vacation program. Although you can only submit one application for each program, you will be able to submit a first and second preference for the state/location in which you would like to work. KPMG supports non-accounting students through relevant study to meet the required prerequisites for the CA Program.